1 Pt: If you found the sign and took the picture yourself. The first part of that is relatively easy. A colleague and I jointly wrote a blog last year looking at warning signs around the world (you can check out the original post here but I’m reproducing some of the content below so you don’t have to click away). 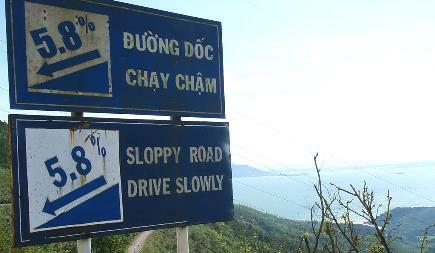 My favourite was this example warning of SLOPPY slopes in Thailand (with credit to @Twickerman). However, as that one isn’t my picture I thought I’d also share the best one that I have personally found, literally just around the corner from my office. 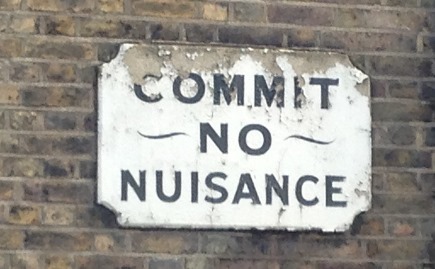 Whilst it’s not specifically an ’emergency’ warning sign, I think it could have potential applications in emergency situations! Following yesterday’s post on the unusual item in my Grab Bag I’ve been challenged by a colleague on Twitter to take a #CBRNEselfie…maybe I’ll incorporate the third element of today’s challenge into that to gain those extra points! Stay tuned!